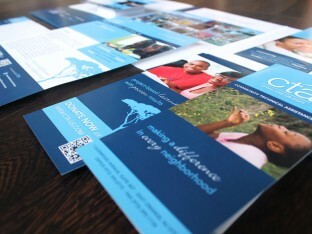 Community Technical Assistance, a NJ-based non profit, needed a marketing overhaul. Growing Concern came to Splendor for a whole new marketing program, beginning with new logo design for their landscaping business, followed by new brochure design, stationery design, and website design. Community Technical Assistance came to Splendor to redesign all of their marketing materials, including their previously basic website. Verdi Spumante is a massively popular brand name of sparkling beverage. Splendor was recently commissioned by Carriage House Imports to design an all new website for Verdi. We recently designed and produced a marketing program for Electrum Inc. which included logo design, brochure design, pocket folder design, stationery design and website design. For this Manasquan-based business, we designed and developed a handcrafted look and feel to showcase the amazing talents of these designers. This all-new website launches Scoops Wine, the latest creation from Carriage House Imports. The blackboard and hand-drawn chalk design create a youthful ice cream parlor theme for the brand. For this martial arts center, the website features extensive use of the company colors. With descriptive content and images from various events, the customer is included on all company happenings. Using this website as a homebase to educate people about the process of going through a divorce, it both informs and connects those interested to the necessary resources. For this law firm’s website, professionalism was a must. With a rich color palette, key imagery and detailed content, this website offers all necessary to the consumer. 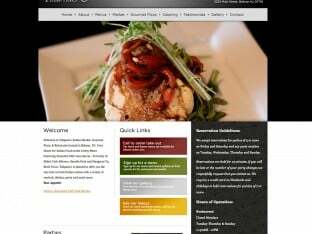 The website for this Belmar, NJ restaurant is built for the client. The user is able to update photo galleries and menus with an easy to manage data system. Oversized postcards are something that never go out of fashion. 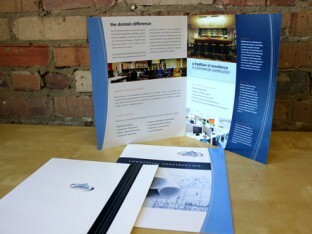 Bright colors, large text, and company information are all laid out in a unique way for each client. 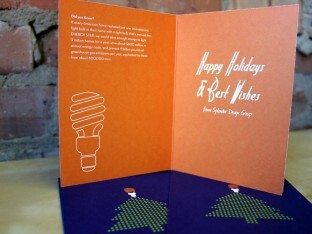 Our holiday card for 2011. In always wanting to spread knowledge with good sentiments, our message this year was about energy conservation. This website was built to go right to the point. Bold, powerful colors combined with a very straight forward navigation system. For our holiday gift in 2011, we chose to design these stainless steel bottles. 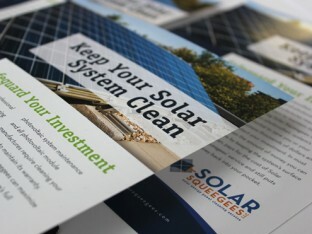 For this energy solutions company, we had to create stationery that was both unique and professional. 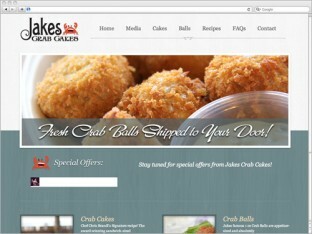 By incorporating commerce into this site, we were able to make Jake’s Crab Shack’s website come to life. For this vodka company, we constructed a site complete with features. This shirt design has become a signature for unity and pride amongst this activist group. 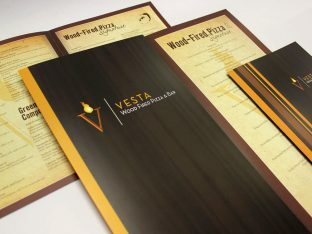 For this task, we had to create a sophisticated and upscale menu design for this Italian restaurant. This unique brochure layout is filled with stylized typography and overlaying colors. A simple, fun logo for a company based around dogs and dog care. 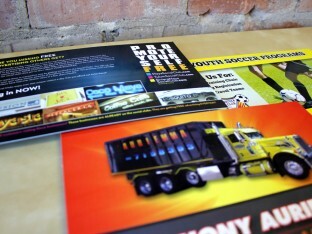 For our own business, we chose an oversized brochure, complete with extensive imagery and bold colors. With fun imagery, bold typeface, and bold colors, the website is a complete package for any organization. 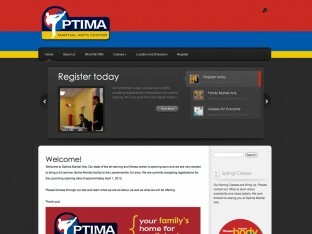 This site is a great combination of professionalism and simplicity. 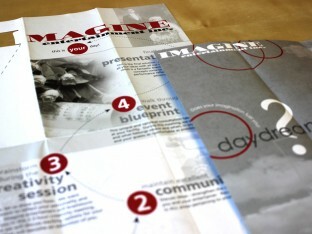 This package of print material focuses on the company’s mission and the eco-friendly benefits of using their company. 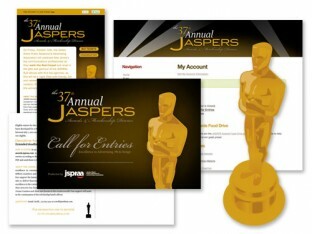 This design scheme was meant to be spread across all marketing materials and to unify all aspects of the awards. 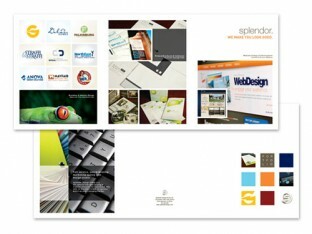 For this business, we designed bumper stickers, stationery, and flyers in a complete print package to cover all sides. This logo design mirrors the company’s mission. Using a minimalist design, it aims to take up as little space as possible, much the same as the mess a landscaper aims to make. This website takes full advantage of the offerings of WordPress. 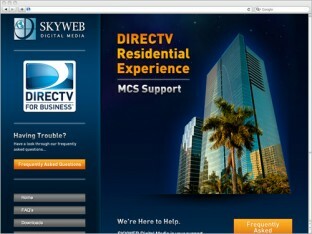 On the front end, it contains all of the professionalism of DIRECTV, complete with images and brand standards. This site works on two levels. It is very visually grabbing, by utilizing (literally) extreme green in the layout. It also features extensive SEO work that make it a top hit on search engines.